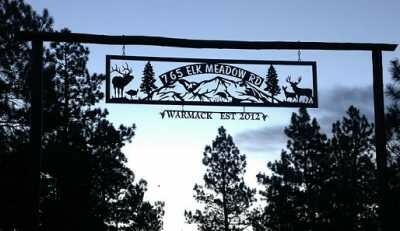 Torchcraft manufactures high quality custom entrance signs that can be seen from the Ranches of Texas to the farms of California, the cabins of the Rocky Mountains to the swamp lands of Louisiana. No matter how big or small the project Torchcraft can create a custom entrance sign to beautifully frame the entrance of your property. Entrance signs such as the Carrizo Ranch sign (featured below) which spans the width of 42 feet down to a smaller 2 foot sign to hang on a pre-existing gate or entrance are no problem for Torchcraft. Signs are typically cut from 3/16” new plate steel but can also be cut from 1/4” or ⅛”, as well. 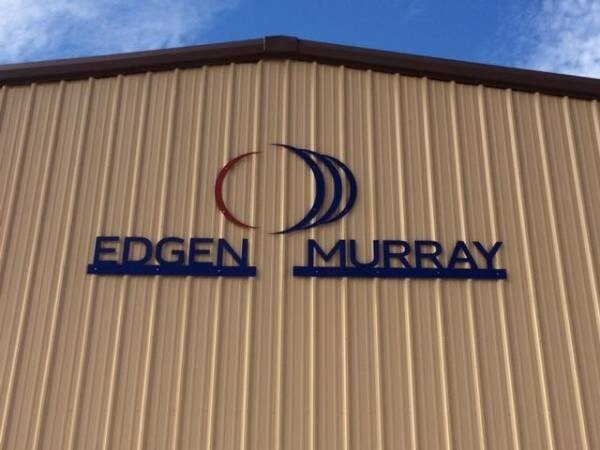 Signs can be primed and painted with a high quality durable paint that will last for years to come, or the customer may choose to receive it raw and apply the finish later. Torchcraft has put a lot of care and research into paint quality and technique. While the competition is using cheap flat black paint that might last a year, Torchcraft is hard at work applying quality coats of high quality primer and paint that will last many years in the harshest conditions. 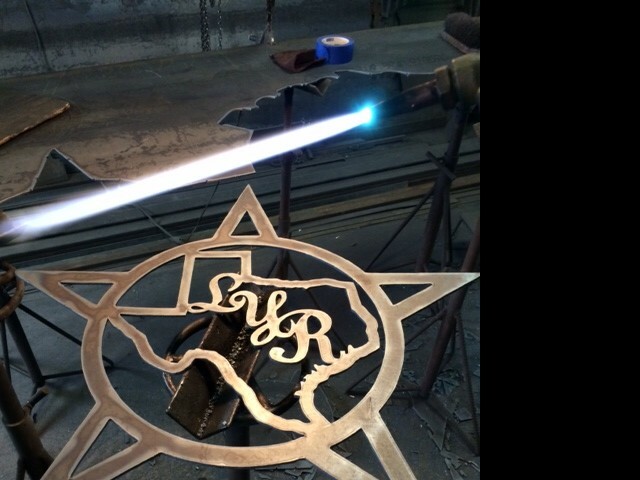 Torchcraft works closely with sandblasting and powder coating outfits which can be utilized to provide the most durable and longest lasting signs available. 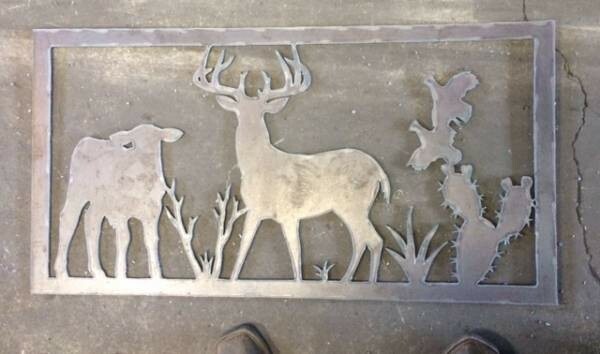 Contact Jerry Kirby of Torchcraft to discuss your next metal art project.